R unning from 4 – 25 February at BFI Southbank, FORGOTTEN BLACK DRAMA ON TV will be a season of ground- breaking black British television dramas. The season showcases the work of some of the most outstanding African and Caribbean writers of their generation, such as Barry Reckord and Trix Worrell, and features pioneering black British actors including Norman Beaton and Carmen Munro. 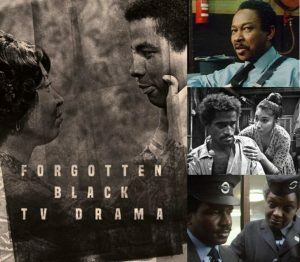 The season will focus on black British TV dramas from 1961-1985, many of which have not been screened since they were first aired decades ago. A highlight of the season will be the first screening since 1961 of The Day of the Fox (Drama ’61, ITV, 1961), which was written for the legendary American entertainer Sammy Davis Jr, in a rare dramatic role. Another highlight will be an onstage discussion with guests including actor Susan Wokoma, Trix Worrell (creator of Desmond’s) screenwriting duo Daniel Fajemisin-Duncan and Marlon Smith (Run) and season co-curator Stephen Bourne. This will take place following a screening of Just Like Mohicans (Channel 4/Holmes Associates, 1985), the compelling story of a black youth thrown into a conflict of loyalties when he teams up with two white friends and breaks into the home of a feisty black elderly woman. Other key titles screening in the season will include Club Havana (Second City Firsts, BBC, 1975) starring Don Warrington as a son who, after 12 years away, returns home to Birmingham from Jamaica. It will screen alongside You in Your Small Corner (Play of the Week, ITV, 1962) which Barry Reckord adapted for TV and in which his brother Lloyd plays the central character who begins a relationship with a white woman, bringing him into conflict with his mother. The screenings on Monday 11 February will be introduced by season co-curator Lez Cooke, producer Tara Prem, script editor Peter Ansorge and we hope to also welcome actor Don Warrington. Other titles will include The Museum Attendant (Centre Play, BBC, 1973), a powerful, funny and shocking exposé of the racism faced by a black museum attendant, Mustapha Matura’s acerbic and offbeat dramatic monologue Nice (Channel 4/Central TV, 1984) starring the charismatic Norman Beaton, and Carbon Copy (ITV, 1975) about a Jamaican man, played by Don Warrington, who is no longer at ease with the cultured white family who have virtually adopted him. This is an opportunity to rediscover some neglected dramas from the past, appreciate their continuing relevance and participate in a debate about the current and future possibilities for black British drama in a rapidly changing digital landscape. aims to destroy the remnants of white colonial rule in a new African nation. The political themes explored remain incredibly prescient. interracial relationship which causes conflict within a Jamaican family. Play of the Week. ITV 1962. Dir Claude Whatham. With Lloyd Reckord, Elizabeth MacLennan, Charles Hyatt, Ida Shepley. 82min Barry Reckord adapted his stage play for TV and his brother Lloyd plays the central character – a Jamaican new to London. When he begins a relationship with a white woman (MacLennan), he finds himself in conflict with his mother (Shepley), who has great expectations for him. The very early intimate portrayal of this interracial relationship broke new ground. Michael Abbensetts’ first play for TV is a powerful, funny and shocking expose of the racism faced by a black museum attendant in his place of work. 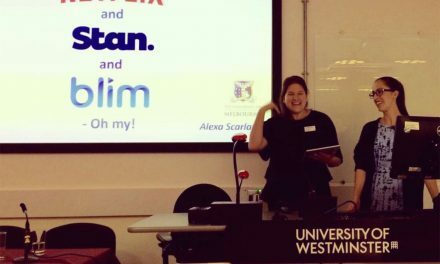 Nigerian writer who made her home in Britain. Buchi Emecheta draws on personal experience for this drama about a young Nigerian mother who flees her husband and finds refuge in the house of a fellow countryman. When her landlord wants her out, he finds himself in the dock charged with harassment. In Howard Schuman’s contribution to the Against the Crowd series, Jamaican Albert Sharpe II (Warrington) is no longer at ease with the cultured white family who have virtually adopted him. Written and narrated by Jamal Ali, this impressionistic, innovative drama shows how Britain – ‘The Promised Land’ – offered only frustration and rejection to Caribbean settlers in the 1950s. Phillips’ poignant drama is a masterpiece of understated writing. The BFI Southbank is open to all. BFI members are entitled to a discount on all tickets. BFI Southbank Box Office tel: 020 7928 3232. Unless otherwise stated tickets are £13.75, concs £11.25 including Gift Aid donation. Members pay £2.20 less on any ticket – www.bfi.org.uk/southbank. The BFI Shop is stocked and staffed by BFI experts with over 1,200 book titles and 1,000 DVDs to choose from, including hundreds of acclaimed books and DVDs produced by the BFI. BFI Southbank is home to the BFI Reuben Library which holds the world’s largest collection of books, journals and digitised material about film, television and the moving image. The library is free to access and hosts a year-round programme of talks and events. anyone involved in the creative arts’ – Evening Standard Magazine The BFI Reuben Library is open 10:30-19:00, Tuesday-Saturday. Eat, drink and be merry in panoramic daylight. benugo’s décor is contemporary, brightly lit and playful with a lounge space, bar and dining area. The place to network, hang out, unpack a film, savour the best of Modern British or sip on a cocktail. There’s more to discover about film and television through the BFI. Our world-renowned archival collections, cinemas, festivals, films, publications and learning resources are here to inspire you. Archive and partner collections, at select UK-wide locations. NextCfP: special issue of Journal of Scandinavian Cinema, ‘Nordic Production Studies’. Deadline: March 31, 2019.